time out from their summer to attend the special board meeting on July 12th. treasured and important International Language Program for thousands of students in 44 schools. school year, and other alternative methods of delivery may be explored for future school years. 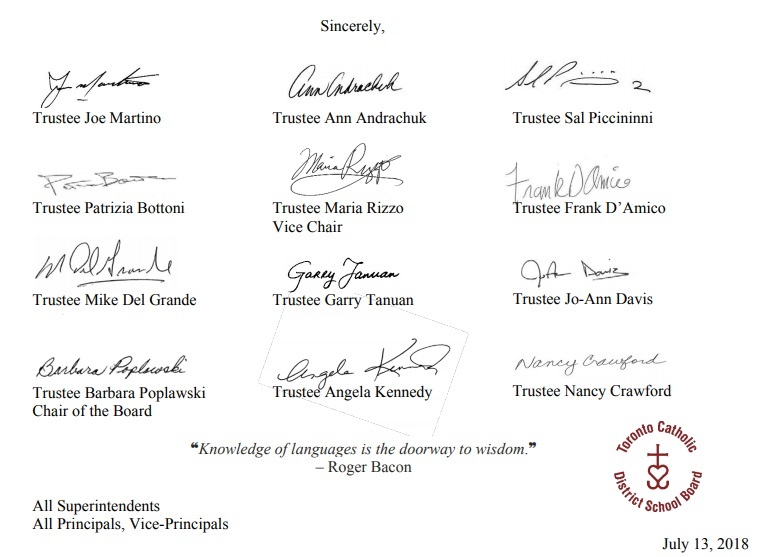 Association (OECTA) and the TCDSB. providing a new International Language program at their school in future years. discussions no later than the October Board meeting. summer and into the school year https://www.torontoschoolbus.org/. We wish you the happiest and healthiest of summers!